As a student often living on a low budget you might not be able to do charity as much as you'd like in your own country. In Bali you'll have a great opportunity to help those in need if you choose to. There are multiple things that will make a difference, charity that even a student can afford to do. It's a great way to get rid off some of your old clothes or get your hands dirty. 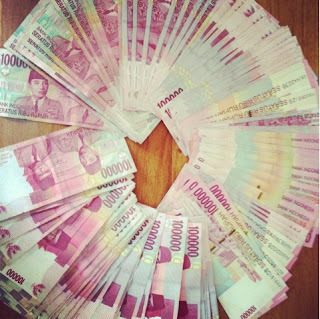 15 million rupiahs. In Bali you can be a millionaire! Bali is considered as a cheap holiday destination and definitely is that for most western people earning western money. The other side of the coin isn't quite that shiny. For example the average wage for a maid is 500 000- 800 000 Rupiahs per month that's around 60 Euros. Sales person can earn up to 1,5 million rupias per month that being approximately 120 Euros. To give you something to compare that with the average tourist in Bali spends around 120 Euros per day! Giving away your no longer needed clothes. When you're finished with your semester here and it's time to head home you might notice that your luggage has doubled since you arrived. It has become a tradition for our students to collect all of their no longer wanted clothes, shoes, bags and donate them to one or two orphanages where these kinds of necessities are highly appreciated. A lot of these orphanages also seek for volunteers to teach the kids english. Good idea if you have some time after your studies! There are ways to make even more of a visible difference for example just going to the beach with your friends and picking up all the rubbish in a certain area. This is an easy way to help and also encourage other people to do so through your example. Not mentioning a great way to spend a day on the beach and why not get a tan while at it. Like with many other things in Bali such as finding accommodation or finding your favourite surf spot you need to keep your eyes and ears open. Same goes with charity work and helping out those in need whether it's a person or a group, a dog or the beach it's good to be active, share your findings and maybe get your friends involved too.